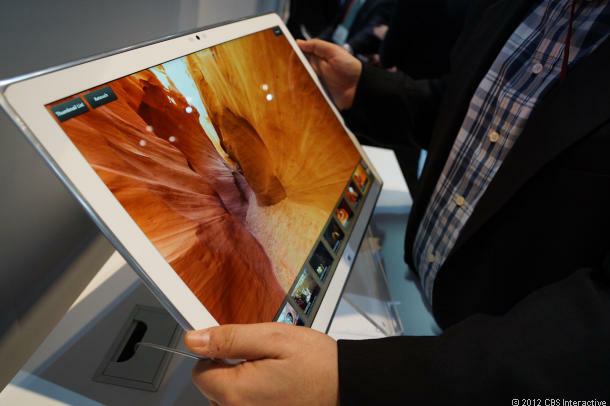 At the Consumer Electronics Show CES , Panasonic has unveiled a marvelous looking Ultra HD tablet. It runs on Windows 8 O.S. and is really wide ( 20 inches ) . This looks like an enticing device. Moreover, it is turning heads .